Perpetual violence – to be cured by more violence? This time itâ€™s said to be retaliation for the last time. In that case it’s how violence works, which is a truism familiar to everyone. Also well-known is that violence easily triggers chain reactions, multiplying the killings. One reasonable explanation for why the US police use their weapons so readily is that they must expect anyone they confront to have a gun. This excuse was put forward in an American online paper, followed by critique of the generous gun laws. But apart from the abundance of deadly weapons in a society, crazy in itself, there are normally specific reasons to kill before anyone takes that often suicidal step. And the reasons are plenty and obvious. On the international scene Europeans, and their descendants in America and elsewhere, have subdued large parts of the world with brutal, immeasurable violence for 500 years. If people on the wrong end of the club should do what we do, retaliate on the same scale, we havenâ€™t seen nothing yetâ€¦Â And we have not ended our butchery! By setting the whole Middle East on fire we have implanted the violence, making people in the region kill each other brutally. Domestically the neoliberal assault by the ruling class against ordinary people has created multiple causes for conflicts. Had we lived in the short period of fairly civilized western life, the one we experienced 1945-75, a strong labor movement would have fought back with peaceful means against the self-indulgent, arrogant and greedy little clique that has been allowed to grab most of our countriesâ€™ wealth and power. But the labor movements have lost much of their territory in the ideological warfare launched by the â€œelitesâ€. It turned out that the little clique controlled most of the media, which in turn made us believe that they were the truthful and objective media in the world (unlike our enemiesâ€™ propaganda outlets). Our propaganda of all kinds – some of it called advertisment – has been pushed down people’s throats. No surprise that we have been made obedient, and passively led to fulfil our purpose in a society whose main goal is to enrich a miniscule group of unbelievably rich, at the same time probably destroying all prospects for human life in a sinister future, which comes even closer by the day. Hopefully that future is not inevitable. To turn events in a hopefulÂ direction â€œjustâ€ requires global popular struggle, solidarity, a completely different economic system and rational oversight, among many other things. The key issue is to separate economic power from political might, tough enough. The concept â€œpropertyâ€ has to be given a new implication. And a really lasting society in which the human species will survive has certainly to be something radically different than the braindead and consumer-slave herd driven for the main benefit of the super-rich. Something we could really call Democracy. This entry was posted in Colonialism, Economics, Ideology, Labor movement, Media, Neoliberalism, Violence on July 18, 2016 by larsschaff. There was a parliamentary election in Sweden last Sunday with an almost undecided outcome. Eight years of center-right, neoliberal governance have lead to deterioration of living standards, not just for unemployed, sick and retired, but also for low-income and half-time workers. Poor relief, intended as the last resort, is increasingly being paid to working people not able to survive on their wages, something never heard of in the welfare country we used to have. On the other hand the well-offs have gained substantially, as in most of the world. The fabricated motive for the austerity measures was to â€œcreate jobsâ€ (the real one to create greater profits), so unemployment consequently is higher today than in 2006 when this government took office. The neoliberal fingerprints were spread all over the place: more schools being owned by private equity firms making quick and large profits while PISA-results plummeted in record speed; scandals in private nursing homes with grave maltreatment of the elderly; municipalities giving away daycare centers and hospitals for pennies, making a few lucky people millionaires; neglected railway maintenance resulting in numerous disturbances in railway traffic â€“ all the usual neoliberal failures familiar in other countries blessed with the same market dogmatism. This government was close to the exit door in the last election in 2010. Their harsh and very un-Swedish new rules for sick and unemployed had made people furious. The sentiments were symbolized by a highlighted case in which a woman dying from cancer had to report for work at the State employment office in order to get her allowances, so that she could get some food for the time she had left. Less than two years prior to the elections the opposition had a lead by almost 20 percent units ahead of the government, a record difference in Swedish politics. Still the government survived the elections. One simple explanation to this seemingly odd outcome is that the bourgeoisie parties have almost monopoly support by private media. The Social Democrats have a lesser number of minor newspapers, most of them published in small towns away from Stockholm. Public service radio and television have instructions to be neutral, but in a forest where all but a few small trees are deeply leaning the same way, â€œneutralâ€ means leaning quite a bit too. Anyway, the opposition didn’t respond to the widespread discontent among a majority, perhaps in fear of being killed by the media. The situation was somewhat similar this time. Swedish schools have continued to deteriorate considerably; senior citizens are appalled by their tax rates, which are higher than those paid by working people; unemployment among the young is record high, and they cannot afford to acquire own apartments; in short: many people are not content at all (though people with good jobs get along pretty well, and the rich still prosper enormously). Thus the opposition this time had a lead by 10 percentage points for a long time prior to the elections. And like the last time the difference shrunk to almost nil, though the opposition finally got a slight upper hand. There will thus be a change of government, but its prospects of survival are not hilarious. One key issue in these elections was about profits earned by private welfare companies. Two opinion polls have shown that only 10 percent of Swedes accept the present state of affairs in which those companies can pay arbitrary dividends to their owners (apart from manipulating the tax system, moving to tax havens etc.). The 90 percent want either dividends prohibited or profits completely banned. Among those voting for the Social Democrats only one (1) percent is comfortable with the present situation. In complete defiance of 99 percent of his own voters the partyâ€™s chairman, Stefan Lofven, when he took office, openly declared that he had no intention to change any of the conditions for the school and welfare businesses. Again: maybe he was afraid of being killed by the media. Only a short time before the elections, when time restricted mediaâ€™s ability to act, he did make vague promises to somewhat revise the system. Thatâ€™s â€œdemocracyâ€ western style! When people are dissatisfied for reasons concerning their important living conditions and no party stands up to offer solutions â€“ then there is room for parties of discontent who give simple answers, genuinely beside the point for certain, but attracting people since nobody provides the right answers. Here that party is Sweden Democrats, with its roots in fascist circles, but nowadays housebroken and dressed up in suites and ties. Their answer is: if we stop immigration then all important problems will be solved. This party is kingmaker until the next election. The Sweden Democrats doubled its share of the votes to become the third largest party in the parliament. Itâ€™s true that Sweden has one of the most liberal asylum and immigration policies, certainly in Europe. Itâ€™s also true that no other party has immigration restrictions on their programs. But those parties had every possibility to stop the neoliberal austerity measures that are the real underlying reasons for the discontent, in Sweden as well as in other countries. One has to be completely void of even the shallowest knowledge in history, not to see this obvious correlation. The most crying example is of course the birth of German Nazism in the aftermath of the economic breakdown in the Weimar Republic. New York Times have by chance an article in todayâ€™s issue about the differences in immigration and asylum policies between Sweden on one side and Norway/Denmark on the other (they could have added Finland to the latter). Both Denmark and Norway have, or have had, openly xenophobic parties in their governments. In Sweden itâ€™s most improper in the mainstream to even mention restrictions on immigration. But since Swedes aren’t more altruistic by nature than their neighbors the problems with relatively large-scale and increasing immigration was bound to surface sooner or later. For that moment to arrive when no party seem to do anything at all to address peopleâ€™s real interests, problems or grievances is in no way surprising. Itâ€™s true that the Swedish economy came through the 2008 financial crisis in a fairly good shape (on average that is; distribution as mentioned much skewed). Austerity measures and an attractive product catalog for strong markets like China played their parts, but the question is which role a gigantic private loan bubble has had. Demand has been doped with 200 billion SEK each year in private loans for a decade, mostly fictitious money with no foundation in the real economy,Â and money which still has to be paid back in real life (1 USD = 7 SEK). No one knows which effect this enormous stimulus package with imaginary money really has had since economists doesn’t deal with the question, as least not as noticed by accessible media. Our politicians got the Parliament they deserve, and people were fooled to vote for a government they donâ€™t want; a government not interested in solving peopleâ€™s really important problems. 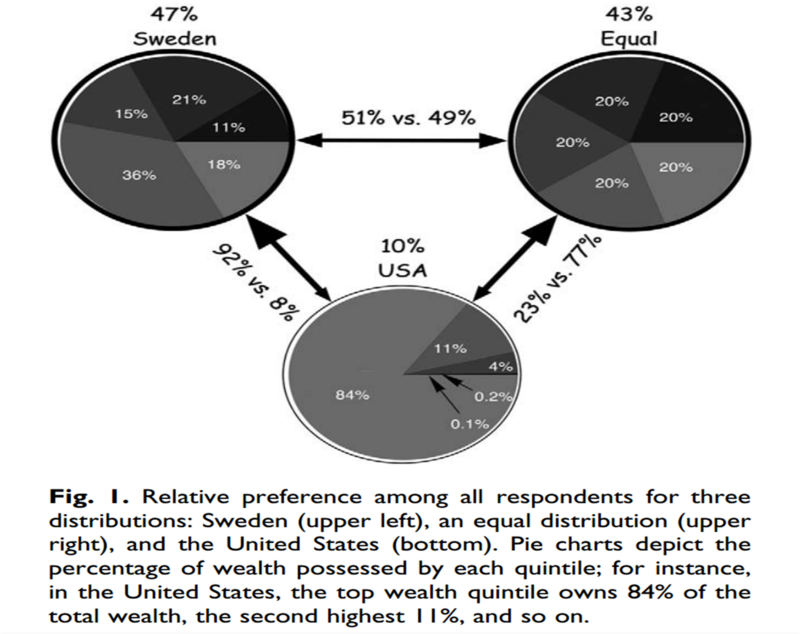 This entry was posted in Economics, Election, Politics, Sweden on September 20, 2014 by larsschaff.